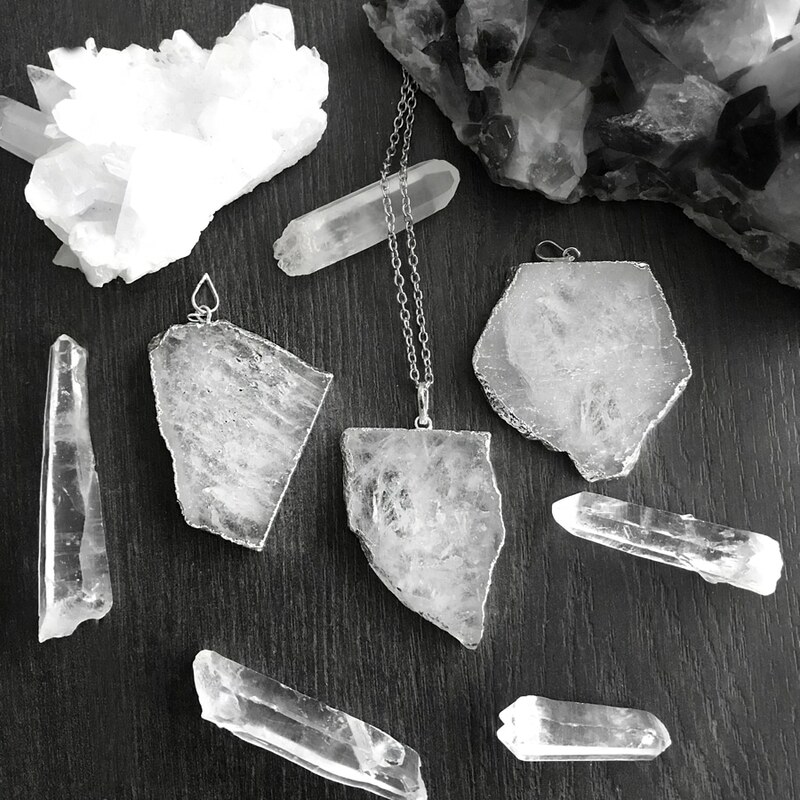 Have you seen our lates drop from the spring/summer crystal collection? 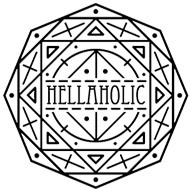 We have curated a collection filled with captivating crystal necklaces, chokers and rings, a mixture of classic semi-precious gemstone pieces and new crystal necklace designs with a dark twist custom made just for Hellaholics ✨. 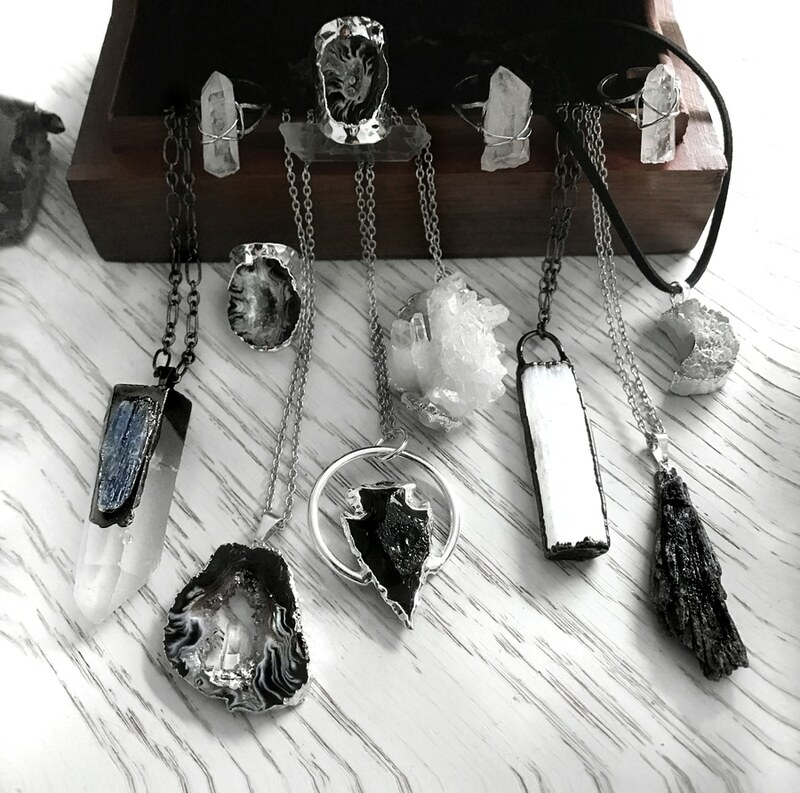 Beautiful irregular Clear Crystal Quartz slices, shimmering white Selenite, edgy Kyanite, pitch black Tourmaline, enchanting Geodes and much more ✨. 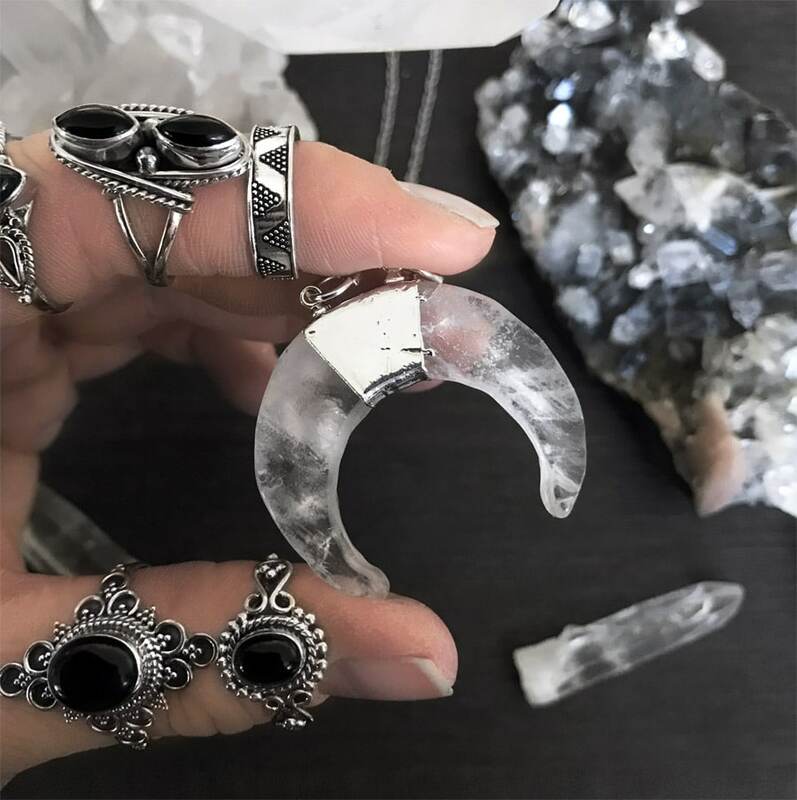 One of our favourite pieces, the Hunting Moon Necklace with a crescent moon in Clear Crystal Quartz and Sterling Silver plated setting ✨. Click the link to view the collection.